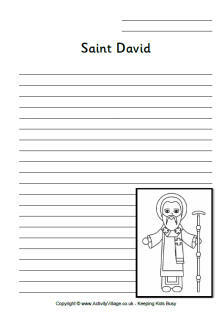 Use our St David's Day printables in the classroom or home for your St David's Day celebrations. We've got everything from dragons to daffodils! 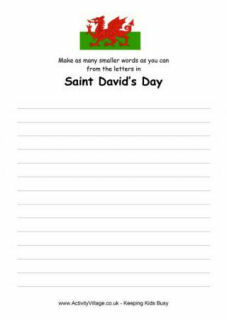 Display one of our cheerful posters for St David's Day - or two, or three! 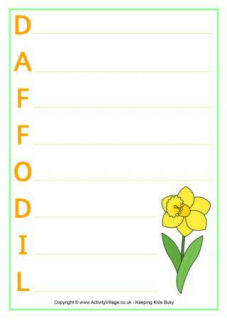 We have all sorts of Welsh flag printables - flags in three sizes to decorate the house or your toys (see our flag bunting and teddy mascot ideas), bookmarks to hand out in school or to friends (some to colour, too), a jigsaw to print and enjoy, notebooking pages for school projects, and more! Posters, writing pages, learn to draw and more. 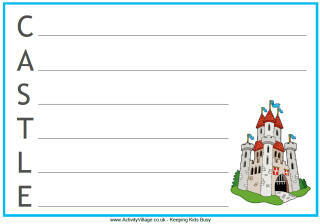 Wales is famous for its castles!